Many in Keene, New Hampshire, are appalled by the extremist views of resident Chris Cantwell, but few were more surprised to see him fighting for white supremacy in Charlottesville than his own landlord. University of Virginia police have obtained arrest warrants for a white nationalist from New Hampshire in connection with crimes they said were committed on campus a day before a rally that ended in deadly violence. 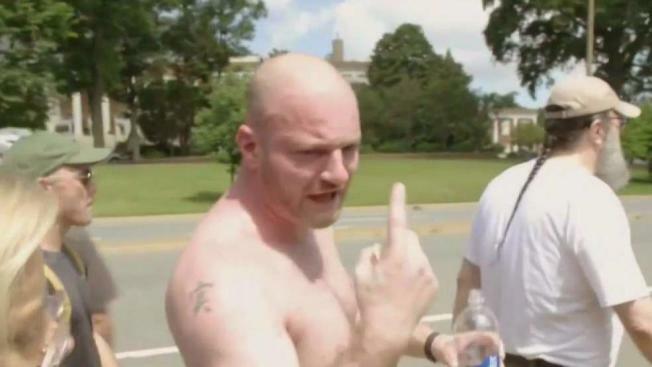 Police said in a statement Tuesday that Christopher Cantwell, of Keene, New Hampshire, is wanted on three felony charges: Two counts of the illegal use of tear gas or other gases and one count of malicious bodily injury with a "caustic substance," explosive or fire. The statement said the warrants stem from incidents on campus the evening of Aug. 11, when hundreds of white nationalists marched across the grounds, chanting anti-Semitic slogans and carrying torches. At one point, the marchers were confronted by a much smaller group of counter-protesters. The statement doesn't provide any further details about the allegations. It said he should turn himself in immediately. Cantwell was featured prominently in a Vice News documentary about the Charlottesville events. 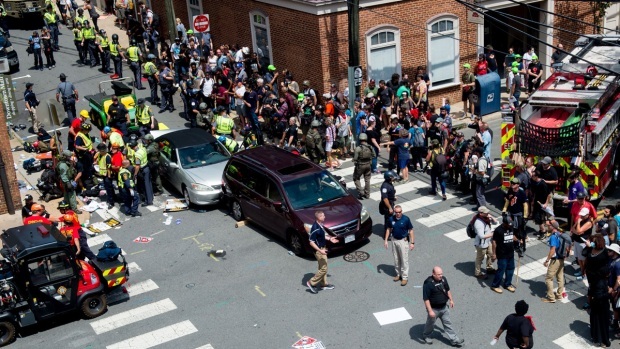 The self-proclaimed racist was shown several times in the documentary, at one point unloading his weapons, and later reacting to the news that a counter protester was killed by a white nationalist who rammed his car into the crowd. "We're not non-violent, we will f****** kill these people if we have to," Cantwell said in the video. In an interview with NBC Boston last week, Cantwell's landlord in Keene said he was shocked to hear of his tenant's role in the events in Charlottesville. "He never showed that personality to me," Todd Tousley said. Tousley said he couldn't believe his eyes when he saw Cantwell featured as one of the leaders of the white supremacist rally in Charlottesville on a Vice News documentary. "Pretty surprised, pretty surprised," Tousley said. "It's kind of scary to hear anybody talk like that." In a YouTube video posted several days after Charlottesville, Cantwell is in tears, blaming the violence on the counter protesters. "It was done in defense of myself and others," he said in the video. "I would not have done it for any other reasons." Cantwell has said he's staying in an undisclosed location because death threats have him fearing for his life.